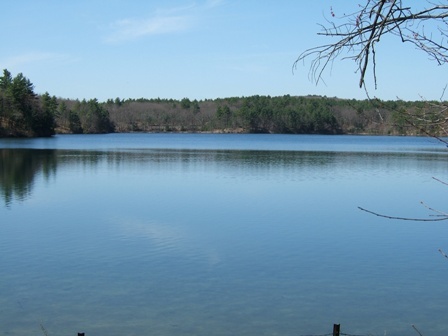 Concord boasts an array of literary riches, including Orchard House, where Louisa May Alcott lived and set her famous tale about the March sisters; the Ralph Waldo Emerson Memorial House; and a replica of Henry David Thoreau’s cabin at Walden Pond. We enjoyed trekking around Walden Pond (at left) in the gorgeous weather, but by far the biggest surprise was the grounds of the Old Manse. 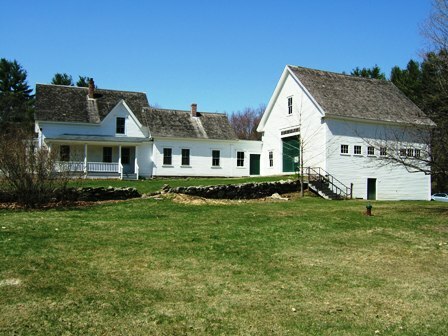 The Old Manse was a farmhouse once owned by Emerson’s grandfather. The philosopher lived there for a time, as did a newly wed Nathaniel Hawthorne. From the front it looks like an interesting but rather nondescript property. Once I rounded the side of the house, though, I was in for a surprise. A vast lawn slopes down to the Concord River, and there’s a great view of the North Bridge, where the first shots of the Revolutionary War were fired. (It was Pariots Day weekend, and the next morning we watched a battle re-enactment.) Even with the trees still bare, it was an impressive site. 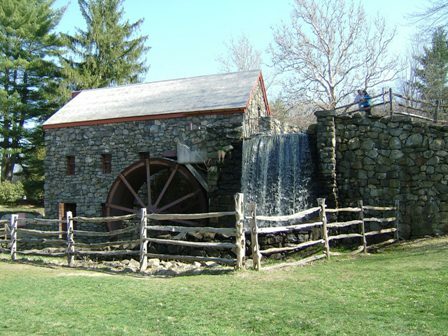 The grounds of the Old Manse adjoin Minuteman National Historical Park. After leaving Concord we headed to Derry, NH, and were given a tour of the Robert Frost Farm (at left) by the wonderful Laura Burnham. Frost lived at the farm for more than a decade, and during that time he raised poultry and wrote poetry. Some of his most famous verse, including “Mending Wall,” was inspired by his time in Derry. Congrats on the great book and wonderful blog. You may be interested in my book on the Transcendentalists’ New England — it’s called A Journey into the Transdendentalists’ New England. You can find out more about it at http://www.roaringfortiespress.com or I can send you a free review copy. Best of luck on the future trips. Thanks so much for the kind wishes! I just checked out the sample pages of your book online and your photography is really gorgeous. I see you’ve also got a new book coming out on Wordsworth’s Lake District. I live in London and actually just returned from the Lakes last week–it’s definitely one of the most beautiful places in England. I even got to see some daffodils, though it was quite late in the season. 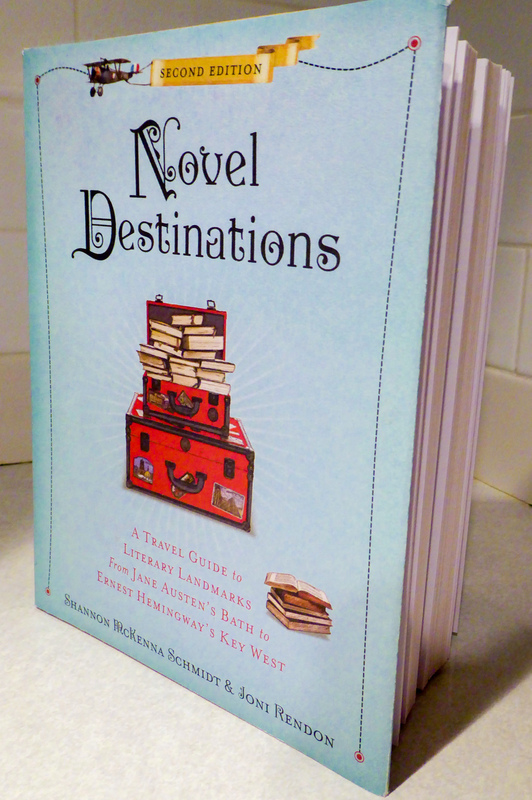 Happy future literary journeys to you, too!